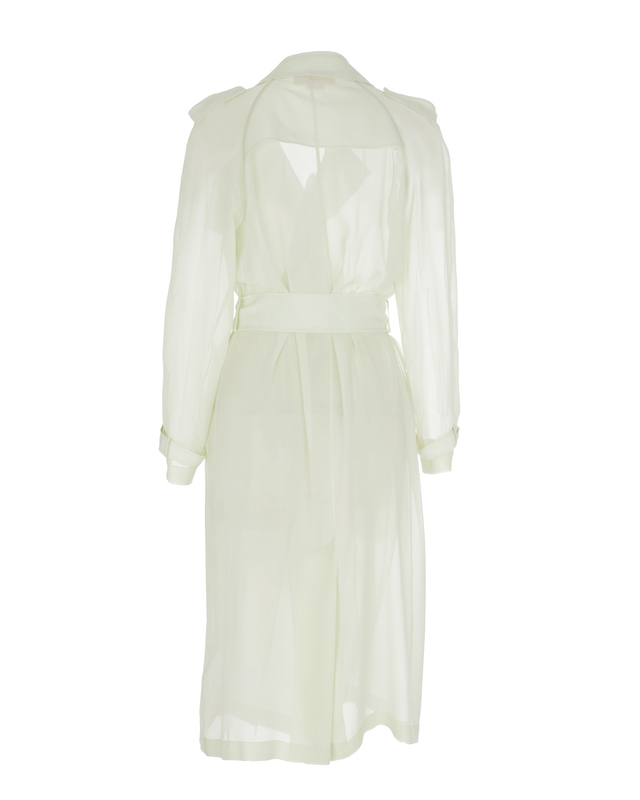 The Genny-signature mint-green trench coat in silk georgette can make you forget the greyness of any rainy day. The lightness of the fabric delicately slips onto the body and gives a chic touch from morning to evening. The waistline emphasized by the soft belt brings out your femininity.